As David Wright prepares to make his final appearance at the hot corner for the Mets today, I’d like to give one final, touching tribute to the Captain. 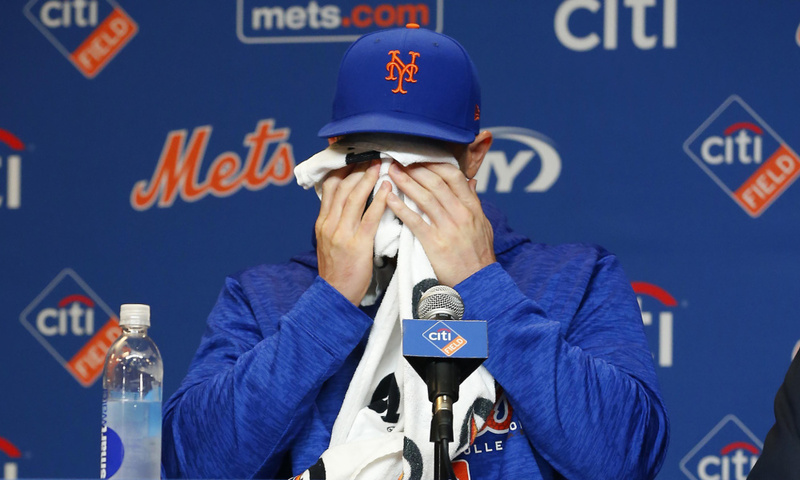 In a time where many star athletes are obnoxious, unprofessional, media-concerned divas; David Wright truly stood out as one of the few superstars who did things the right way. And as a longtime die-hard Mets fan, I was one of those young athletes who always aimed to emulate David on and off the field. When it comes down to his time with the Mets, his work is severely under appreciated. Wright was easily one of the best players in team history statistically, and would be a sure fire Hall-of-Famer if he was able to stay on the field longer. That brings me to my last topic; his unbelievable dedication. Captain Wright put his life down for this incompetent franchise and worked through all circumstances surrounding the club on and off the field. Not to mention the guy fought harder than anyone to battle through injuries time after time. This includes his most recent injury stint that lasted from 2016 to yesterday. David has rehabbed from multiple injuries – including spinal stenosis – just to come back for one last game tonight so his young daughters can see him play for the first time. Absolutely outstanding. David. Thank you for everything. Thank you for being an athlete I could always look up to and enjoy watching every night. Thank you for also never giving up on this team no matter the failure or hardship in the way. Enjoy retirement, and we wish you the best! #RE5PECT! And yes, special shoutout to Jose Reyes – the longtime Mets’ SS – on an incredible Mets career as well. His journey will also end tonight alongside Wright; a duo that enjoyed much success in the mid to late 2000’s. You may have not been the best off the field, but you were electric on it! Thank you, Jose! Good Game or bad game?